A product strategist helping startups best fulfill their vision. We provide a platform to showcase company greatness through staff recognition. Visit us at recognizeapp.com. (Two images on the right) Deem -- I spearheaded the mobile web cross-platform framework at Rearden Commerce. 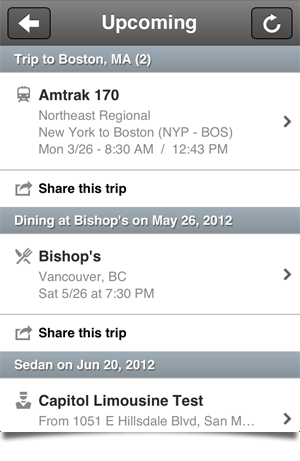 This framework powers Fortune 500 travel applications on multiple platforms and continents. 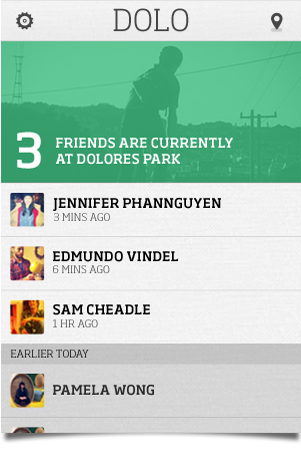 (Far left) Dolo -- a micro geolocation app specifically for checking-in to Dolores Park, SF. 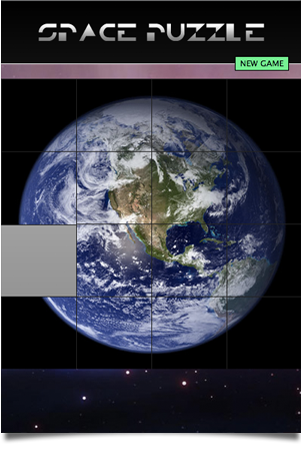 (Second from left) Space Puzzle -- a picture scramble app written in HTML5. 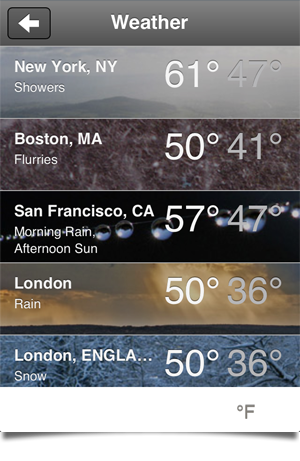 It works on Android, iOS, and Webkit. To play it. Or see the code on my Github. For the 2012 General Election, I designed and built an early voting finder app for the Obama campaign. It was created in six days. Localized into Spanish and English. Responds to mobile, tablet, desktop, and tv. Deep-linking browser history for map zooming, date, and location. Single html file web app for a performant user experience. Supports Android, iOS, Chrome, Safari, IE7+, and Firefox. Between working at Pop, Rearden, and freelancing, my code and ideas are used by millions of people. A small team I was on created this website in a 24-hour sprint. We had seen the momentum humanitarian efforts could gain from viral campaigns. 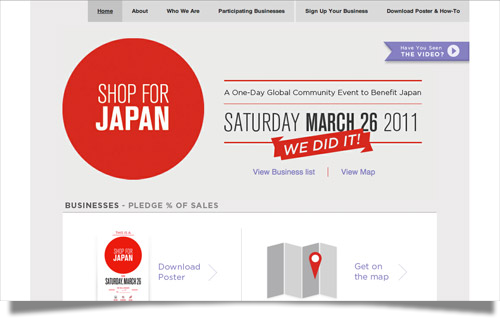 This inspired us to create a viral campaign that successfully galvanized shoppers and businesses to donate to the Japanese earthquake relief efforts. Over 60 businesses signed up around the world and over $10,000 was raised. Everyday I am inspired by what I see and read on the Internet. These are a few of my favorites -- sites that I visit regularly and participate in actively. See what I'm up to on these networks. GitHub is the best place to collaborate, learn, and contribute to programming projects. Despite the rise of Instagram, I continue to be amazed by the photography on Flickr. I listen to Soundcloud every day. It is the best source of music on the Internet. Listen to my DJ mixes. Twitter is one of my main technology news sources. I can browse FFFFOUND for hours. The images are beautiful, creative, and inspiring. Check out my FFFFOUND page. Alex is at Planet, a web development agency, building web applications for companies as well as building its own products. Visit my blogs: Smooth Sailing and It's Not Rocket Science.